During a large master bathroom renovation, many couples ask themselves, “Should we get a double vanity or a single vanity?” There are pros and cons to both approaches, so you should think about it and talk to your partner before making this decision. Here are some things you need to know. Many couples want double vanities because they have busy lives. Two sinks allow them to wash up at the same time. Two storage areas mean that you can keep your toiletries and grooming equipment exactly where you need them to be. You won’t have to compete with each other for space. If you absolutely want to have access to the bathroom at the same time, then as a bathroom shower remodel expert, we recommend this option. However, there are tradeoffs. For instance, double vanities take up a considerable amount of space. If you have a small bathroom, then the additional plumbing and reduced counter space might be a hassle. You should also consider the opportunity cost, particularly if you are remodeling your bathroom. Adding a double vanity means that you are giving up something else that could be added in your bathroom space. Can your bathroom fit a double vanity? What’s the right layout to maximize the available space? A professional bathroom remodeling contractor can help you figure out the answers to these questions. They will know how to design a bathroom that can comfortably fit a double vanity while still allowing room for other essentials. Since a double vanity is more expensive than just using a single, they can also help you figure out if the additional cost is worth the convenience. 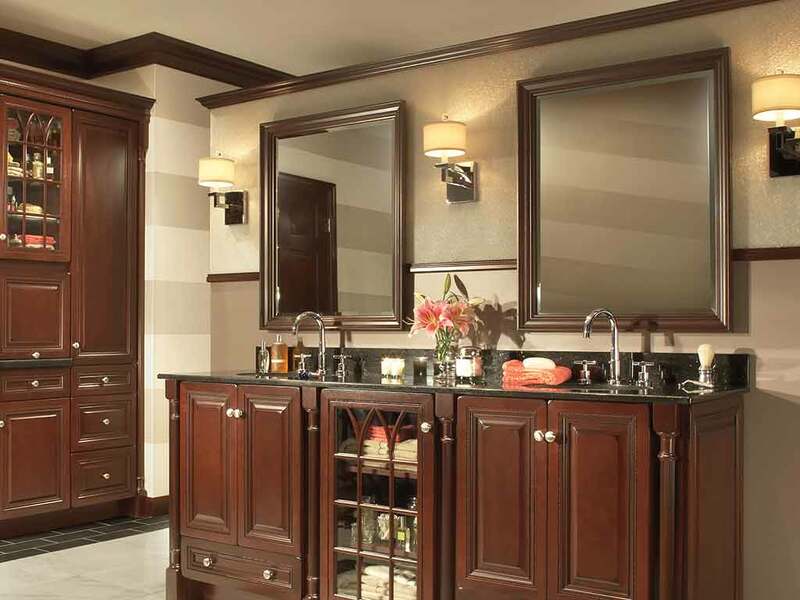 There are a lot of things you need to consider before getting a double vanity for your bathroom. Fortunately, DreamMaker Bath & Kitchen of Southern Lakes is here to help you. Our distinctive, full-service remodeling approach focuses on helping our clients and understanding their specific needs and goals. Call us at (262) 923-8721 or contact us here to start a conversation about your next project.